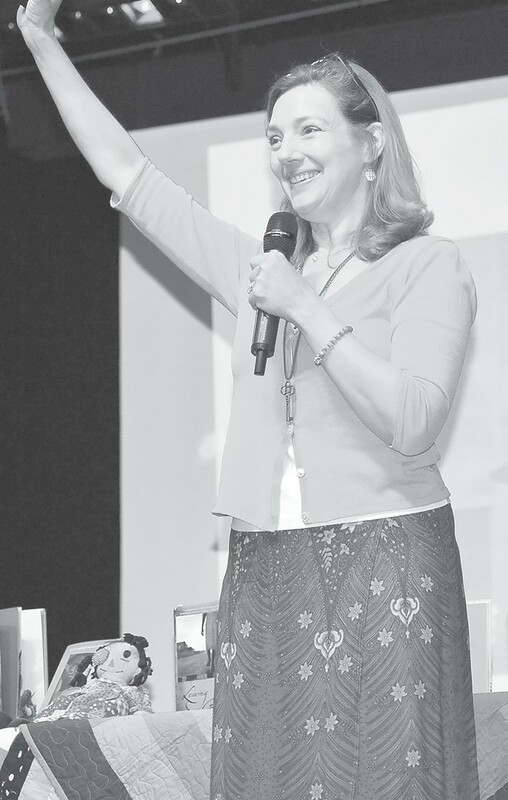 Author Irene Latham encourages students at Oneonta Middle School to reach for their dreams. Acclaimed poet and author Irene Latham spoke to the sixth graders at Oneonta Middle School on April 2 as part of the state’s bicentennial celebration Read Alabama 200 initiative. The Alabama Bicentennial Commission selected 13 authors who have published works that have a connection to the state. Groups like museums, churches, civic organizations, or as in this case, schools, can make a request to have one of the writers give a presentation for no cost. The writers are all published and in a variety of genres – from poetry to science, fiction to history, and maybe something in between. Latham has produced several poetry books, both for adults and children. She has also authored award-winning children’s novels, including her first, Leaving Gee’s Bend, which is set in a real-life rural part of Alabama, where a fictional 10-year-old girl sets off on a journey to help her mother, and the journey turns into an adventure. Latham told them that ideas about subject matter “are all around you waiting to be found.” She also cautioned them a little about the rejection most writers receive when they submit a poem, story, or book and it gets turned down. “They’re not rejecting you, just the story. You can make it better.” The lesson there is to never give up, a philosophy that serves everyone well, no matter the age and regardless of the endeavor. Latham and her husband now live in Blount County. They moved to Highland Lake about a year ago. To learn more about Read Alabama 200 visit http:// alabama200.org/discover/read-alabama-200.